The Harold Wood area changes are fine as is the 115 change. The 25 cut is disappointing as it leaves just one bus from the City to Oxford St - the Boilmaster operated 8. Another major frequency cut here - why bother increasing it in the short term? Seems completely pointless to restructure the route twice in less than 18 months. I don't understand the logic in re-routing the 300 and nor do TfL as they haven't explained why they are doing it. I'm not local to that bit of Newham but I am struggling with the reasoning for a lot of tinkering other than to serve Custom House. I struggle as to why Lonsdale Avenue will end up with 13.5 bph in each direction. I think if I lived there I'd not be overly happy with that - it's not exactly a main road. Looks like the 241 is axed purely to fund the extension in the Olympic Park and yet the 388s are not exactly packed out on departure from Stratford City so why provide 12 bph on this section? The rumoured extension of the 304 on from Manor Park to Stratford / Stratford City hasn't made the grade either. A real opportunity missed. Looks like West London is getting all the genuine new services and links. I assume the reason for the 300 reroute is to maintain the link between Canning Town and New Barn Street / Freemasons Road that is lost with the 241 curtailment. This does take the 300 away from Newham Hospital - I don't really know the area well enough to know if that's a problem. I agree the 241 changes seem a bit pointless. If one of the two routes to Here East (241/388) were to divert via Stratford International they'd at least be adding a new link, even if it's a minor one. The 25 cut wasn't unexpected, but leaving the 8 (and 521 on M-F) as the only route running east from Holborn is still pretty poor (especially for those of us who can't stand LTs). It's not as if Crossrail is of much use for the Holborn area. Along Prince Regent Lane, the 300 is popular for passengers who want Barking Road but you still get punters who stay put till Canning Town station; especially the bit of Prince Regent Lane that's north of the A13. As aforementioned the 300 was supposed to be extended to Custom House to terminate and be extended from East Ham to Manor Park and Stratford, but that hasn't come to fruition. TfL are trying to not break as many trips as possible because the 300 is popular along Prince Regent Lane but like you say, it's poor mitigation for what they hope to do to the 241. Given that there's no big demand for Here East, and there's ample stand space* at Stratford City, the route hack from Custom House is wholly unnecessary and the 300's plaster routing along Freemasons Road may not do much to help displaced passengers. *dunno who said that the 241 was being moved out of Stratford City for stand space; but when the Black Lives Matter protest happened in Stratford, buses from the main bus station used Stratford City to stand. Stratford City bus station coped with its 13 stand places, so that's not the reason TfL are turfing the 241 out of Stratford City. It's worth pointing out to everyone what TfL has changed some ideas since the Bus Development Document Papers; the link to which can be found by searching the thread title on the forum's search bar. The 300 was proposed to be cut from Custom House, and extended to Stratford City via Capel Road and Forest Lane; but that has not come to fruition...yet. It would be nice if that round the corner link from Manor Park to Forest Gate (Wanstead Park Station) be provided by either the 300 or 304, but I guess substancial road changes needs to happen on Capel Road and thus throws a spanner in TfL's plans. Apart from that slight wobble, the wholesale south Newham plans have already been foresighted and digested so there's no point going over the same plans twice; but if asked I agree with most of the changes as was presented in said document papers. The Lonsdale Avenue section of the 104; I dare anyone to hail a bus to Stratford at 8am and see how populated that section of the routing is! Providing new links on the 304 will massively help out those residents by giving them further options for travel, and I suspect that 13.5 bph will see a modest decrease (in the form of the 104) once the dust settles after the Crossrail changes. The only other things to mention from the documentation that hasn't arisen in this consultation is the 304 double-running to Custom House and then onto North Greenwich via the Silvertown Tunnel and the 325 potentially either running to London City Airport or a new development at Royal Albert named ABP; but these changes are as real as the ficticious infrastructure proposed so at present, these plans have no bearing on Crossrail and its changes. As for the 25 changes, that's another discussion in another thread quite frankly. They [TfL] didn't even have the cojones to at least send the route to Holborn station. This is all to do with the central London changes and not Crossrail. Don't worry folks, it's not as if I haven't deliberately using the 25 corridor to go home and collect some reconnaissance....you'll certainly be hearing from me about this hot potato topic! Finally, if TfL are going to reroute 24-hour 474 away from Silvertown Way and into Kier Hardie Estate, then for heaven's sake send the N551 through Freemasons Road and New Barn Street! The route is actually better used along there than it is through Kier Hardie Estate when it was diverted long periods of time due to Crossrail works. The Silvertown Way/North Woolwich Road section always seems quiet, but I suppose 5bph compares very poorly compared to the 12tph (15tph peak) on the DLR. But at night it can get used. 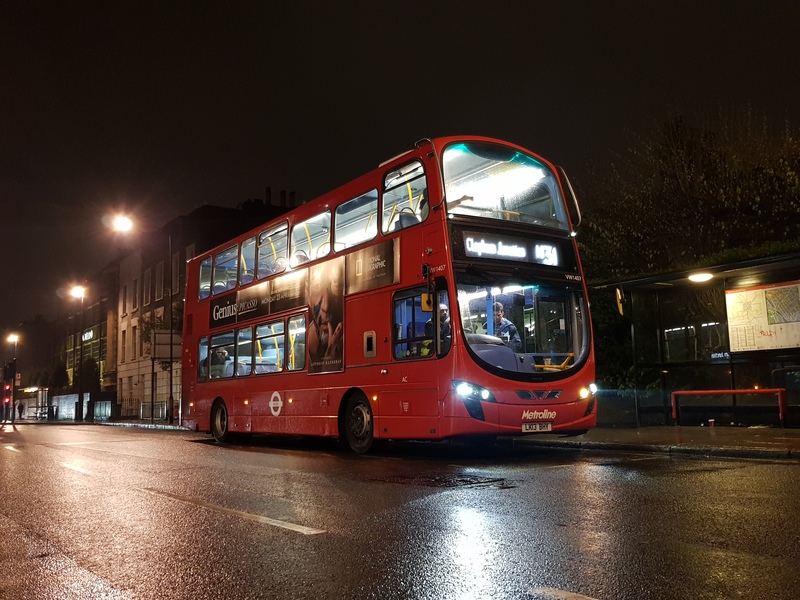 When I used the 474 at about 0230 last month, about 3 of the 6 other passengers came from Silvertown Way/North Woolwich Road, although I was the only one when I boarded at Gallions Reach Roundabout. In the return direction it can load even better, especially when Night Tube runs. These changes really appear to be designed to send the remaining few bus passengers between Albert Road and Canning Town onto the DLR, when there are loads of new flats being built by Thames Barrier. Those needing to go from Silvertown/North Woolwich to the Custom House direction already had the 473 to Prince Regent, is there any need for another route that way? The N551 via Freemasons Road/New Barn Street used to be busy there, but it also appears to be almost as busy via Kier Hardie Estate? Your exhultation to not repeat the Network Development paper comments prompted me to go back and check them. Nothing like being awkward. What is interesting is that the 241 and 300 changes have appeared out of nowhere. They were not part of the previous plans and something has happened somewhere to prompt this change. Worse I think this last minute change has blown a hole in the previous reasonable integrity of the earlier plans. I suspect money is a factor but I just can't reconcile the need to faff with the 241 and 300. If they were left alone there would be two concerns - no direct link to Crossrail from the 300's eastern section and an overbussing of the Kier Hardie Estate if the 474 were re-routed. Clearly TfL have cancelled or postponed a number of elements like the 300 northern extension and the 325 extension as you've said. Things like breaking the 474 direct link along the North Woolwich Road seems especially stupid when the replacement 330 may get no further than just east of Pontoon Dock station with no connection to anything (dependent on Custom House stand space). Why on earth they don't just send it to London City Airport to terminate I don't know. At least then there is an easy connection with the 473/4 for eastward connections. The loss of the onward planned connection of the 104 from Beckton to West Silvertown is another gap in the consultation plan vs the original intent. I know hindsight is a marvellous thing but it would have been *vastly* simpler if Crossrail had built their stop at Canning Town rather than Custom House. There would have been a vastly reduced need for so much bus service dislocation. Population and development issues further east could have been dealt with through route extensions and modest adjustments to other services. I appreciate this is a bit "tail wagging the dog" stuff and there are issues at Canning Town in terms of how you'd integrate a XR stop with the DLR / Tube station but even so. According to the development paper, the proposed ideal stands would be on local residential streets near the station. Good Luck with that. I thought they may use the open spaces next to the station near the tunnel entrance, but it may be to small and/or to weak. I was wondering why 473 was not looked at as an option. 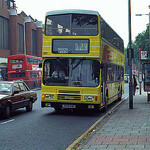 Would have swapped the 241 and 473 Only routings between Plaistow and Prince Regent/Custom House. That way you would have had the 473 service from London City and N Woolwich to Custom House and the 241 will be largely the same. You would have kept 474 as it is. If changes are made the 330 must extend to Custom House, as the large residential area on North Woolwich ROad can have easy/quick access to the line. In hindsight they would have built the interchange at London City Airport, providing that link between it and Heathrow. Thats why Custom House amoung other reasons is an important station, but talk about over estimating demand. The DLR will cater for most of it to Custom House. Quite interesting some of these changes , The 330 extension to Custom House , seems like a good idea or at least to Prince Regent in the meantime I mean Connaught Bridge ? A bit in the middle of no where quite surprised the 323 wasn't used for this instead to be honest as it will make the 330 a bit round the houses as it were the re routing of the 474 through Kier Hardie also a good idea , As for the 25 surprised and pleased it wasn't cut back further to be honest was expecting Aldgate but Holborn Circus does seem a bit in the middle of nowhere aswell to be honest a bit like the 242 to St Paul's . Hopefully a N25 is introduced keeping the East "West End" Link haven't been for a few years but always used to be extremely busy on a weekend at Tottenham Court Road N8's and Night 25's usually heaving on a weekend , I think Holborn would of been more suited as a all round terminus . A TfL spokesperson said "oh no need to worry about a night service. Just jump on Night Crossrail services at weekends and then change to the bus at Whitechapel. It'll only cost you three times what it costs now but what's a few quid between friends. During the week we recommend you jump on a hire bike at Holborn and cycle the rest of the way." I expect TfL are trying to get as many buses out of Holborn, and especially Proctor St, given where they plan to construct a new ticket hall and entrance at Holborn Tube. That whole area is also likely to get a "public realm" overhaul meaning far less road and bus stop / stand capacity. Therefore TfL are carefully shunting the 25 out of harm's way in 2018 and hoping no one sees the connection. I must disagree about the 474 I live near Keir Hardie and already have the 147 heading towards East Ham - I don't see the point of another bus heading in that direction the long way via City Airport. Would much rather the link towards Plaistow / Stratford is maintained. If these changes go through Custom House will become a bit of major bus hub - Surely it would be better to try and expand Prince Regent Bus Station and have some type of double runs to Custom House instead over building another terminal just down the road. Its about half the size now the land has been handing back to Newham Council. Did not know you could go back in time on Google Maps. Very neat. Anyway I agree with you about the close proximity of Prince Regent and Custom House. Like why not just send the 241 to Prince Regent? Anyway, as mentioned if they follow the development plans they will create an access road from the site to the road behind the buildings that house the post office etc and then that road joins with Coolfin Road which goes back round to Freemasons Road. So it will be several bus stands like Wood Green terminus. Interesting to see the 115 being rerouted, Ashfield Street eastbound is a surprising option, also surprised not to see the purposed D6 extension via Vallance Road from the development papers. Interesting re creating the access road. They have mentioned redevelopment / knocking down of those shops for the last 10 - 12 years without much progress even after Crossrail was approved and work started. Ok....probably not in the best frame of mind here (tired, missus getting ever more demanding, hot as my house never cools down) but I think a lot of these 'direct links' are pretty avoidable. Reason being the DLR. Take the 474, diverting it away from West Silvertown to provide other direct links into Custom House won't really change things in real life. To be honest, if I was heading towards East Ham (from Crossrail) and the locality the last thing I would want to do is get on a bus as soon as I can. I'd merely remain on to Beckton via the DLR for the same fare (same zone) which would be faster and cost me the same. 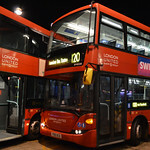 Same goes for a connection via Canning Town and using the Jubilee a couple of stops to/from Canary Wharf - Zone 2 so same money.....for the same fare I'd pick the ultra fast, ultra reliable Jubilee line over the bus any day. The 473 would still give the North Woolwich side a direct link to Custom House, and maybe, to cater for Gallions etc, extend it to Beckton Asda. Giving the West Silvertown side the option of a direct link into Custom House, extend route 323 - a lower frequency route giving the option to 'take a punt' and see where the demand is, and leaving the established 474 as is. As for the 'East Ham - Lonsdale Avenue' angle - divert route 101 away from Beckton (most of this axis - apart from the East Beckton area being covered by the 474, which hasn't changed in this plan). Now, to make up for the service to East Beckton, and to provide new links for others (apart from Crossrail) extend route 173 to East Beckton making up for route 101 on that bit. The 300 would be left alone - for the reasons described before with interchange from/to the DLR within the same zone. Meaning = no new route 304. The mileage extensions and rigmarole going with the rest of it being covered on existing routes by not having the cost of a completely new route. Now, I know you'll all look at me and say "armchair planner" and "he hasn't a clue" but let's be realistic, having used the transport network for a long time I know that at the first chance people will get onto a train, whether it be DLR, Tube, Crossrail, whatever (!) as soon as they can - while people are in the same zone as they would like to do their important interchange (onto Crossrail in this case), it'll happen. I do think deep down these consultations have made too hard work of the issue, the South East London ones could be a lot simpler than the proposals but at the minute I haven't got the capacity to digest six pages of stuff before commenting! No particular comments on the route ideas but a couple on other things you've said. 1. The area served by the DLR is unusual in London in that there is a high frequency, reliable and accessible rail alternative for quite a lot of trips. That may drive different behaviours to elsewhere in London. There are plenty of examples I could quote where parallel bus services are full to the brim / well used on journeys where the tube is an option. I suspect the accessibility aspect is what may drive more people on to the DLR than on to some nearby bus services. Similar behaviour exists where parts of the Overground are accessible - parts of the ELL and NLL for example. I am not sure, though, that your view that people jump on to rail ASAP holds as a general rule for more local travel. I certainly don't jump on to trains very much in South London as many stations are awkwardly located and have poor frequencies for certain journeys. Obviously if you're making a longish radial trip then rail or tube should win out over buses. 2. The second, unstated, aspect of TfL's plans is that many of the route proposals are an interim stage of wider plans. This is especially true with the East London changes due to planned developments coming on stream later and the possible Silvertown Tunnel. Therefore what TfL are proposing now may look a bit daft but there is a second or even third stage to the plans. Similar applies in the West London plans but TfL have been a bit more overt about the developments they may want to serve. - Route 25 - This is quite an 'important' chunk that they're proposing to scrap. During the day (peak or off-peak times) I've seen many 25 buses fairly populated. It feels as if they are trying going to force people to use the Elizabeth Line. I feel it should at least get cut back to Holborn, or even Tottenham Court Road (although lack of stand space prevents this). 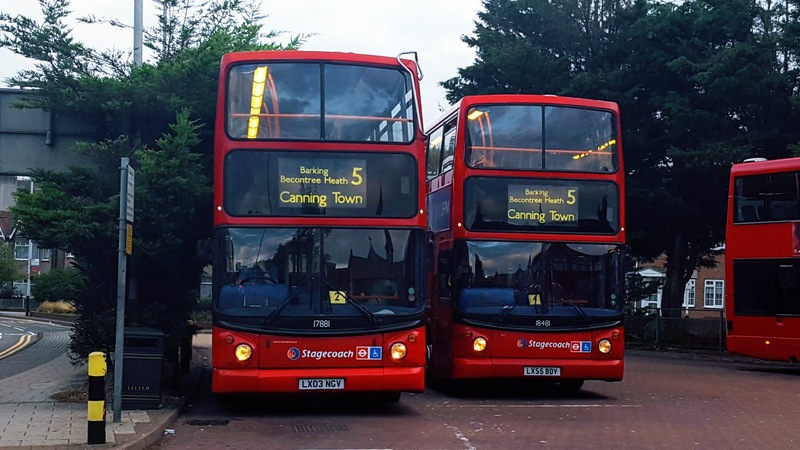 - Route 115 - I fear the reliability will be heavily affected with traffic in the Whitechapel area. A big shame about the 25. All because of these stupid moronic twits at Oxford Street shops. As usual they would force everyone of the bus network purposely onto trains then after complain when trains are overcrowded. Whitechapel Rd would affect the 115's reliability big time. I am surprised they haven't mentioned the D6, 106 proposals in this Crossrail network changes. A guess Connaught Bridge would be similar to the Thames Barrier turn on the 69 some years ago. They were better of terminating it into London City Airport.